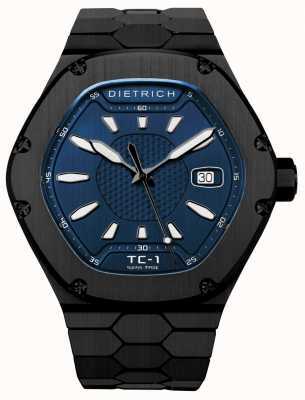 Authorised retailer for Dietrich Watches. Free delivery, 30 day free returns and five-star rated service. Buy now with up to 12 months 0% finance. When it comes to luxury watches, the watches designed by Emmanuel Dietrich are some of the most beautiful that you can find. These watches are born out of the lasting love affair that the designer has had with wristwatches. Dietrich watches are fantastically designed and incredibly crafted in Besançon, the watchmaking capital of France. The incredible watches in this collection would be a positive collection to any watch collection. 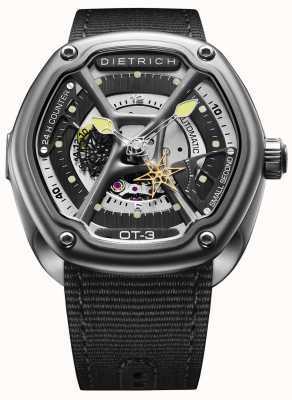 Dietrich watches are designed by one of the greatest watch designers in the world. Emmanuel Dietrich was born in Besançon in 1969 and has had a lifelong love affair with wrist watches. It is unsurprising that Dietrich went into watchmaking when you consider the surroundings which inspired him. After leaving for Paris and gaining a diploma in Interior Design, he moved into product design. Emmanuel Dietrich built up a fantastic reputation designing products for some of the world's top brands such as Hermes and Calvin Klein. After 20 years designing products for these world famous brands, he moved on to bringing his own Dietrich watches to the market. It is no surprise to see that watches, such as the Dietrich Organic Time Black PVD Plated Case Black Strap , are masterfully designed which will stand out on any wrist. Organic Time is the way in which Emmanuel Dietrich has chosen to invite people into his own universe after years of designing products for other brands. “The ORGANIC TIME is the translation of my singular world. It is the expression of my desire for balance, a balance between feelings, forms, sensations and pleasure. It is the culmination of my design signature: delicate but bold, powerful yet sensual.” This collection of watches has been described as being artistic in appearance, which is almost unheard of in watches at this price point. If you are looking for a watch with such an original artistic design at a relatively affordable price point then Dietrich watches are perfect for you.